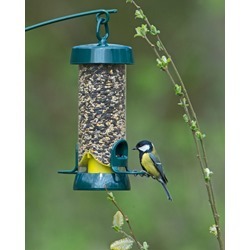 For those who are looking for the most versatile and low-maintenance feeding method, our easy clean bird feeders provide the ideal solution for gardens of all sizes! Amongst our huge selection of specially crafted bird feeders, we supply a range of easy clean solutions, which are designed to facilitate hassle-free cleaning and bird feed top-ups. 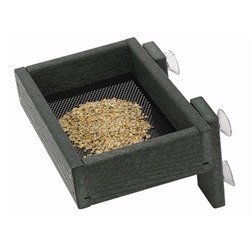 These range from mixed seed to food-specific feeders, which are specially tailored for use in combination with popular products such as peanuts and niger seed. 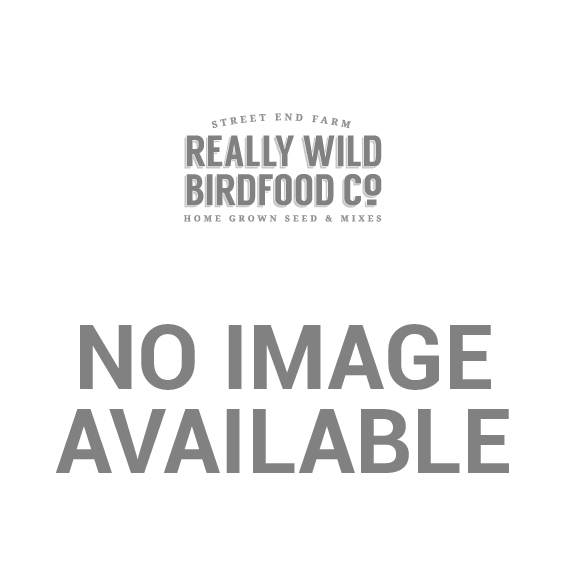 At Really Wild Bird Food, we do everything in our power to encourage responsible feeding, in order to prevent the spread of nasty diseases between garden birds. For this reason, we supply an assortment of specially formulated cleaning products, and encourage the regular cleaning of feeders with a supply of fresh food. 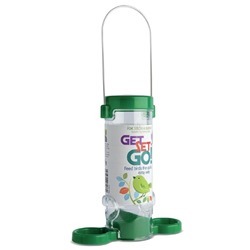 Fitted with a ring pull bottom and easily detachable parts, these easy clean bird feeders make the process of emptying and thoroughly cleansing your feeder a simple task, which leaves you with no excuse to neglect your feeder hygiene! Ring-Pull PRO* Metal Peanut Feeders It's yours for life! 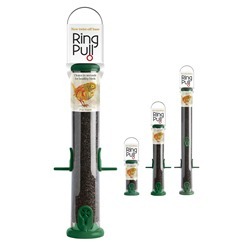 Ring-Pull PRO* Metal Seed Feeders It's yours for life! 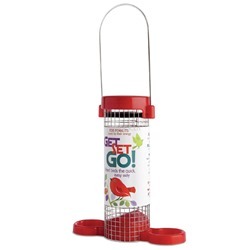 Get Set Go* Seed Feeder An affordable, colourful seed feeder with plenty of perch space! 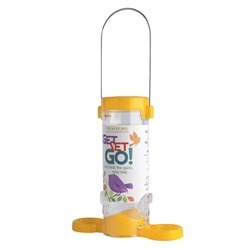 Get Set Go* Peanut Feeder An easy-to-clean, brightly coloured feeder for peanuts, at a great price! Ring Pull* Plastic Seed Feeders An easy-to-clean seed feeder for feeding a variety of bird seeds and mixes! 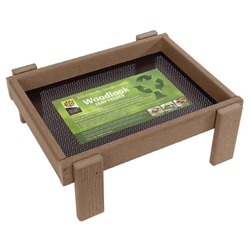 Ground Feeding Tray - Weathered Wood Effect A woodlook tray made from recycled materials.